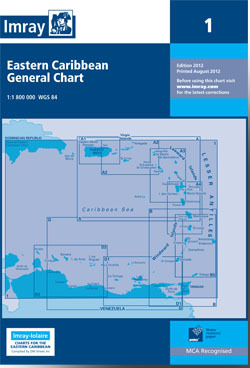 General chart of the Caribbean, from Hispaniola (Dominican Republic) to the coast of Venezuela, including the whole of the Lesser Antilles. Scale: 1 : 1.824.000. Flat chart, water-resistant paper.